Once you’ve configured your call bridge (which you do directly on the Cisco Meeting Server), VQ Conference Manager provides the tools you need to provision and configure robust, predictable services that work exactly the way you want. 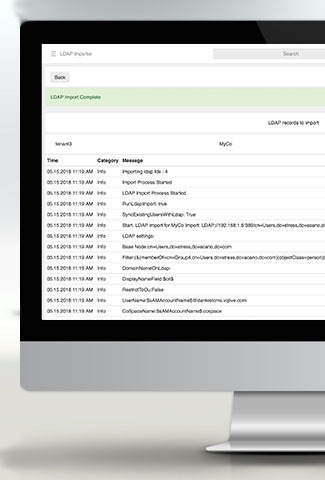 This gives them an at-a-glance overview of the possibilities – and removes the complexity of using the Cisco Meeting Server API. The software also gives you peace of mind by checking your configurations for inconsistencies or conflicts that could result in your service working erratically. This helps ensure you deliver predictable conferencing that your organization will trust and adopt. 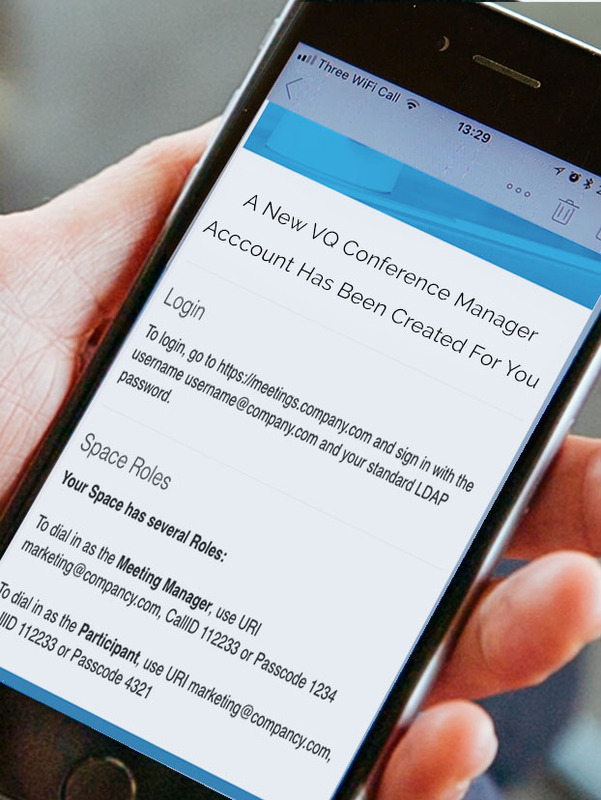 With VQ Conference Manager, your administrators can update the way the service behaves. They can add new call types or modify existing ones, then apply the changes to all meeting Spaces of this call type. Making these changes through VQ Conference Manager is much faster, easier and less risky than doing so manually via the Cisco Meeting Server API. VQ Conference Manager (formerly Acano Manager) links with your corporate user-management system. This automates the process of adding, managing and removing users and their meeting Spaces, cutting the time taken per user from minutes to around a second. Automated syncing with your central user-management system ensures the lists of users and Spaces on your Cisco Meeting Servers are always up to date. Based on your configuration, individuals are automatically set up as the correct type of conferencing user and provided with an appropriate meeting Space – without your administrators needing to lift a finger. 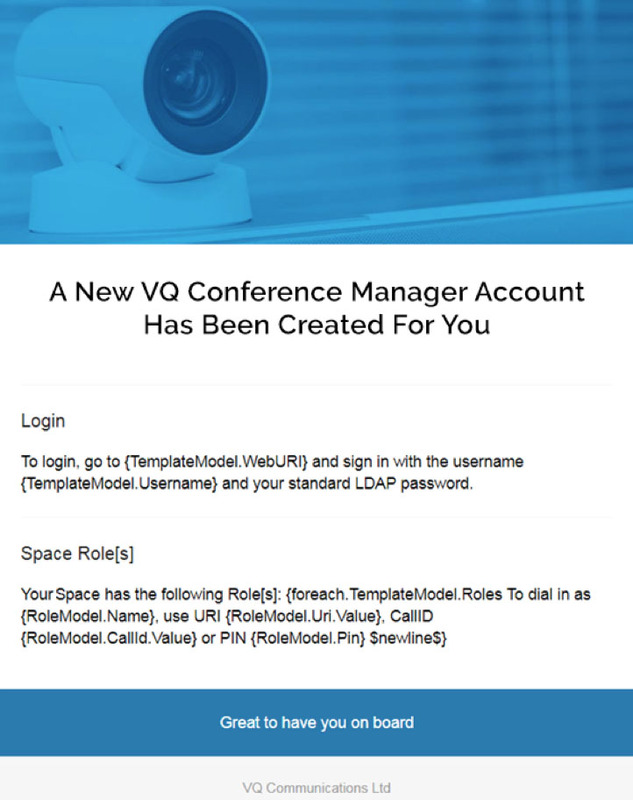 When you use VQ Conference Manager, your administrators set up LDAP configurations for each type of video conferencing user you need. This could include administrators, call operators and one or more flavours of regular user, perhaps based on seniority, location or the type of conferencing service they need. 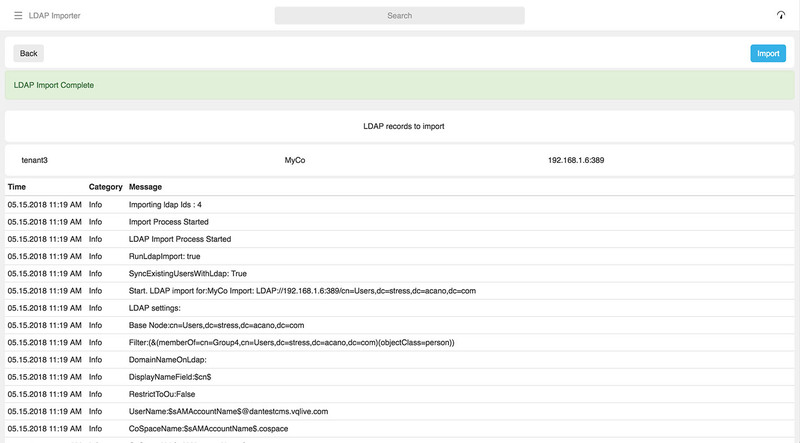 You use attributes from your LDAP tree, such as job grade, to determine which users to import. You then define the types of call this group can make, by assigning an appropriate meeting Space template. For example, you might want your management team to make full HD calls, while for other employees, standard definition is sufficient. Read more about this type of service tiering. VQ Conference Manager enables you to schedule this import process to run automatically, thereby ensuring your video conferencing user base is always up to date when people join, leave or move roles. The update process is typically even faster than the initial import, as it only alters those users whose details have changed. And as part of the import process, you can automatically email users with instructions on how to use the service and their username and Space details. A conference where your management team presents to the entire company will need to be set up very differently from an informal meeting between team members, or one involving a salesperson and a prospective client. VQ Conference Manager enables you to create tiered services that match the needs of different groups of users and circumstances –without the complexity of using the Cisco Meeting Server API. Should all participants be able to speak, or can some only observe? Do you want a chairperson in control of the call, or is a more informal, all-participants-equal setup what you need? Do you require true HD video, or will standard definition or even audio-only suffice? Does access need to be controlled using passcodes? VQ Conference Manager enables you to define these options and more, using the flexible meeting Space templates. 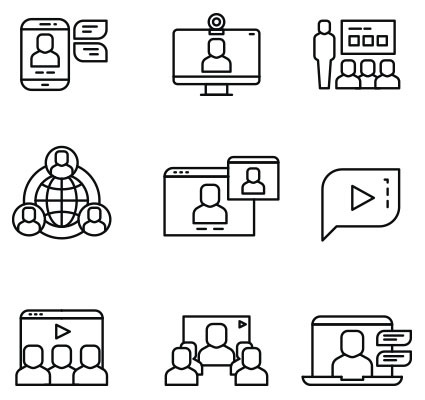 These templates, which can be applied to specific users or groups, ensure they get the right in-call experience for their needs, and that it’s the same every time. This combination of predictability and convenience is essential when it comes to building the ‘it-just-works’ trust in your service that’s necessary for widespread adoption. Discover more about configuring your conferencing service. You may want to ensure your management team’s calls, for example, are scheduled and then monitored by a specific operator, for extra assurance that everything will run smoothly. VQ Conference Manager helps you run this type of ‘white-glove’ premium offering for selected individuals, alongside self-service conferencing for the rest of your workforce. The emailer tools can be set up to notify new users of their conferencing details, as soon as these are set up. The emails can also contain instructions on how to use the service and information on who to contact if there’s a problem. Your administrators can use the emailer tools in VQ Conference Manager to send one-off updates to groups of users in your organization. If you ever need to make changes to meeting Space naming conventions or passcode complexity requirements, for example, this capability ensures your users are aware of the change and can continue using the service.